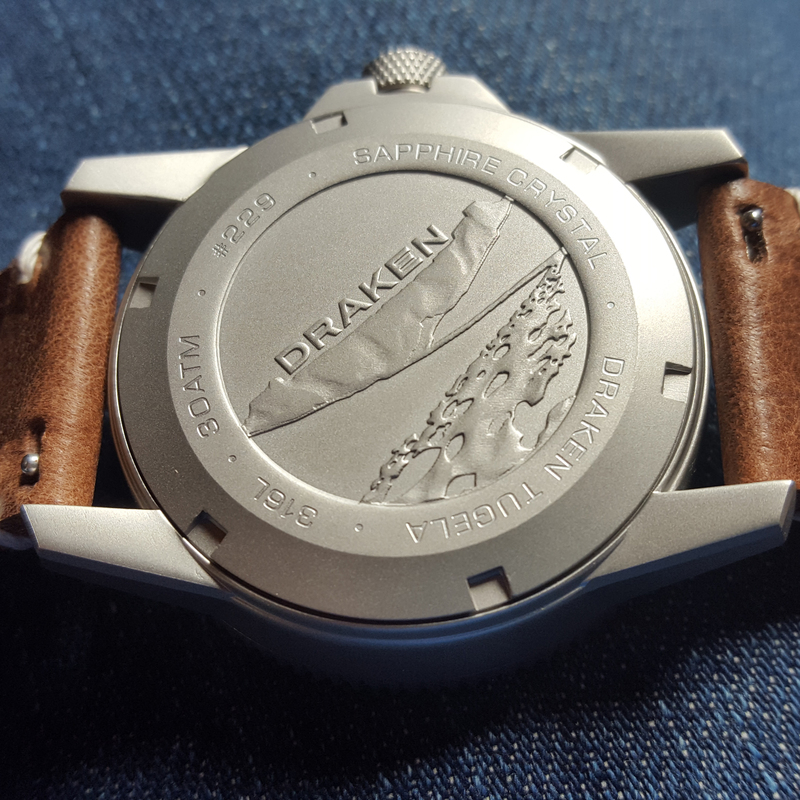 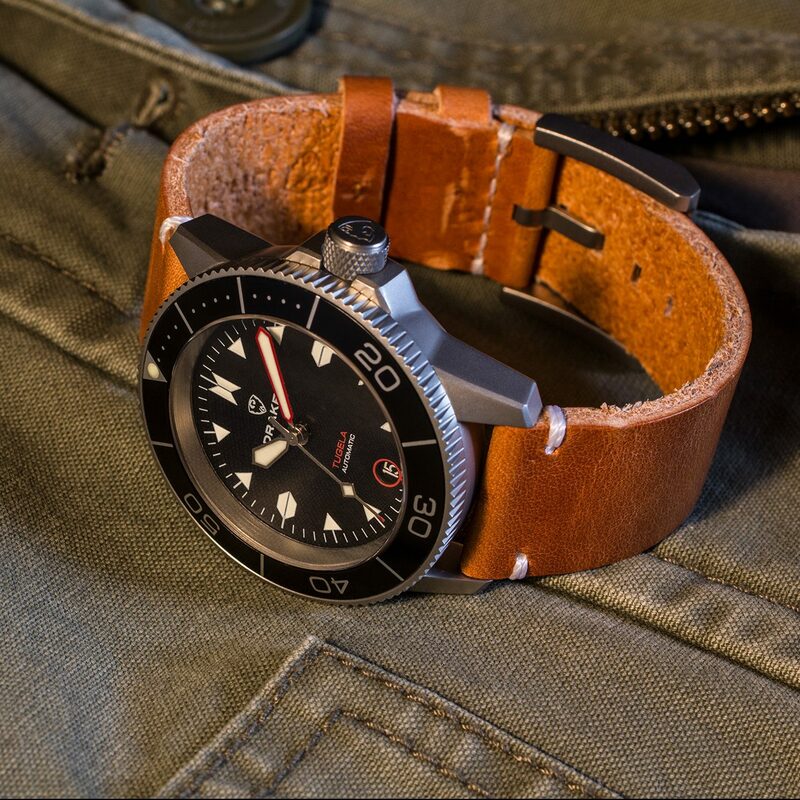 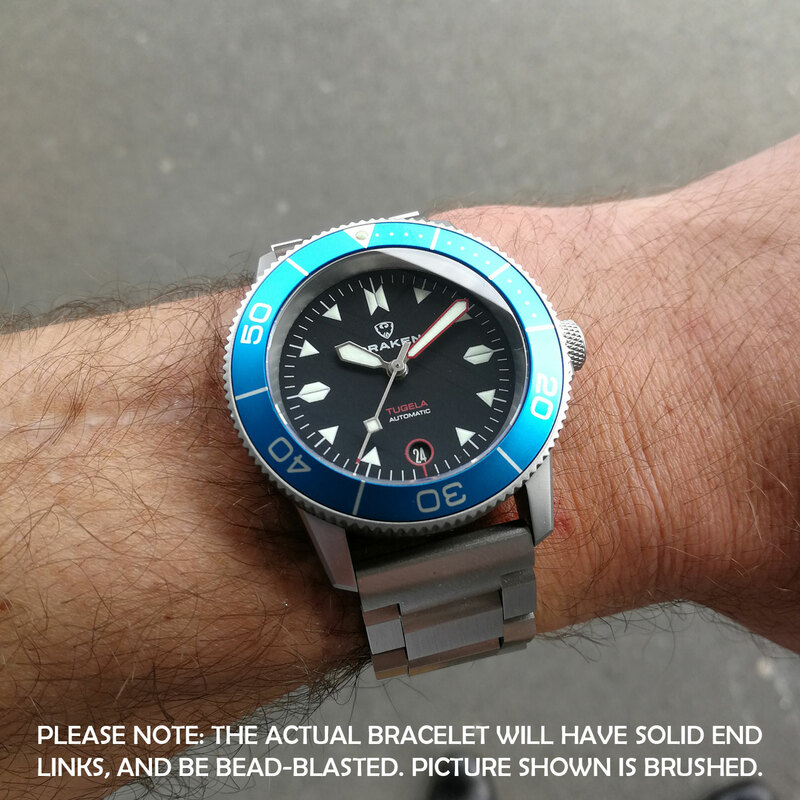 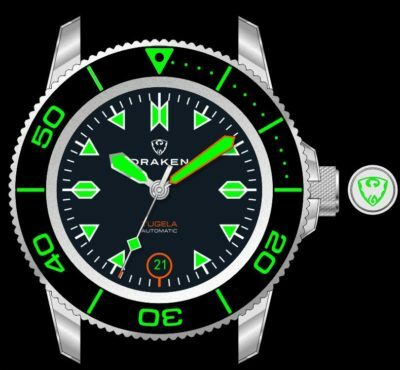 The Tugela is Draken’s take on one of the most popular watch genres – the dive watch. With it’s distinct hour indices inspired by the shapes found in Zulu beadwork, and it’s tapering case mirroring the shape of the Protea, there is no other dive watch like it. 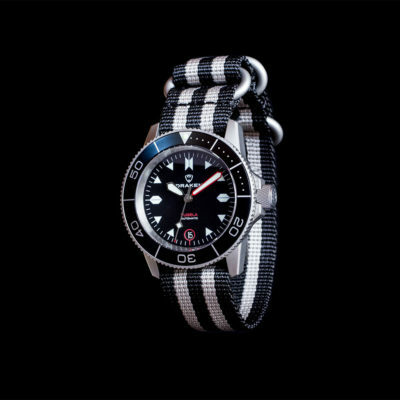 The bead-blasted case helps hide scratches, and the sapphire crystal display ensures clarity for the lifetime of the watch. 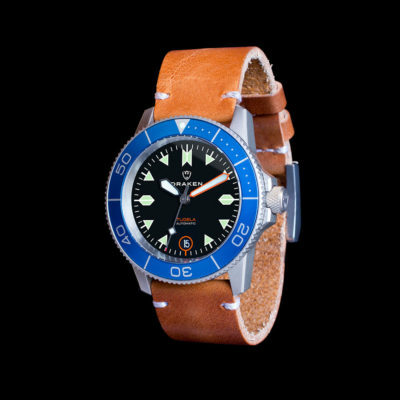 For the second edition of the Tugela, we’re keeping the unique look of the original, but we’ve made some big improvements. 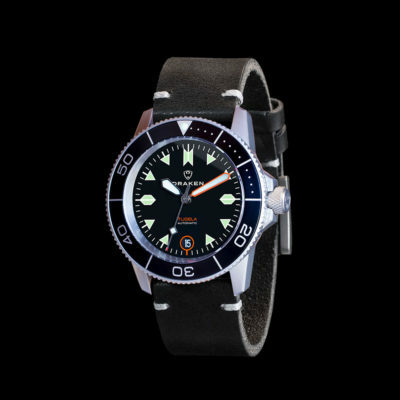 For starters, there’s the dial. 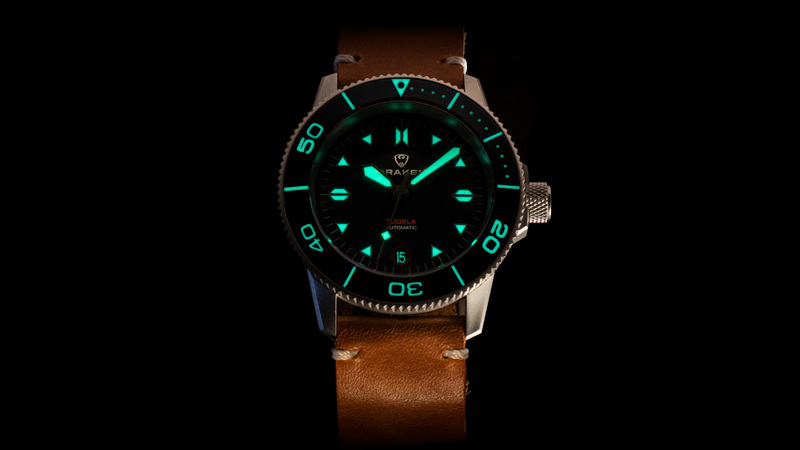 To get the brightest lume, you need to apply it thick. The indices of the dial will have 10 layers of X1 C3 Superluminova – the brightest lume available. 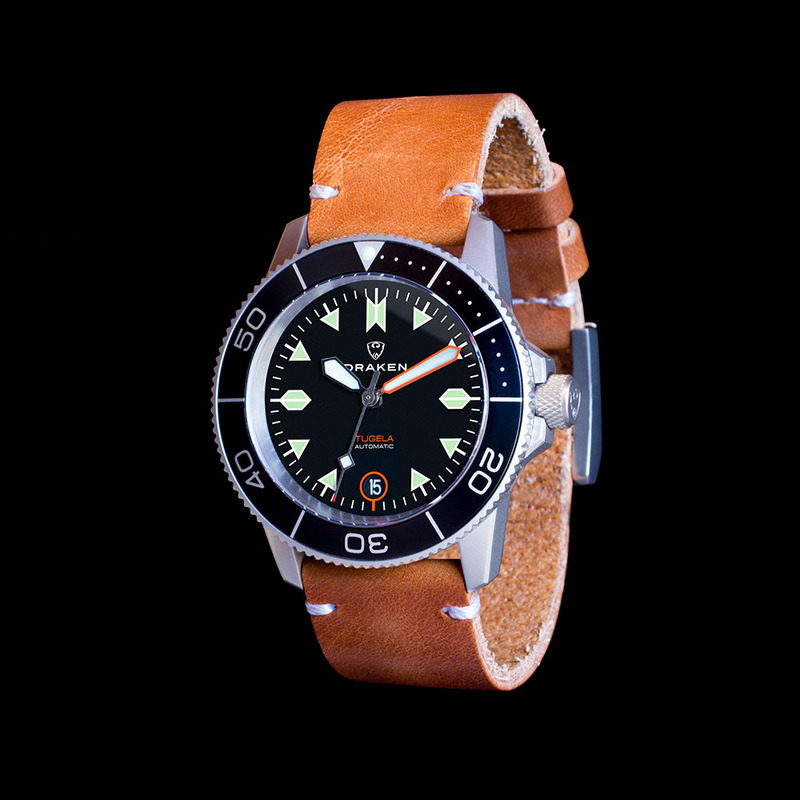 We’ve also made the second markers bolder and used a brighter orange for the model name and date window circle. 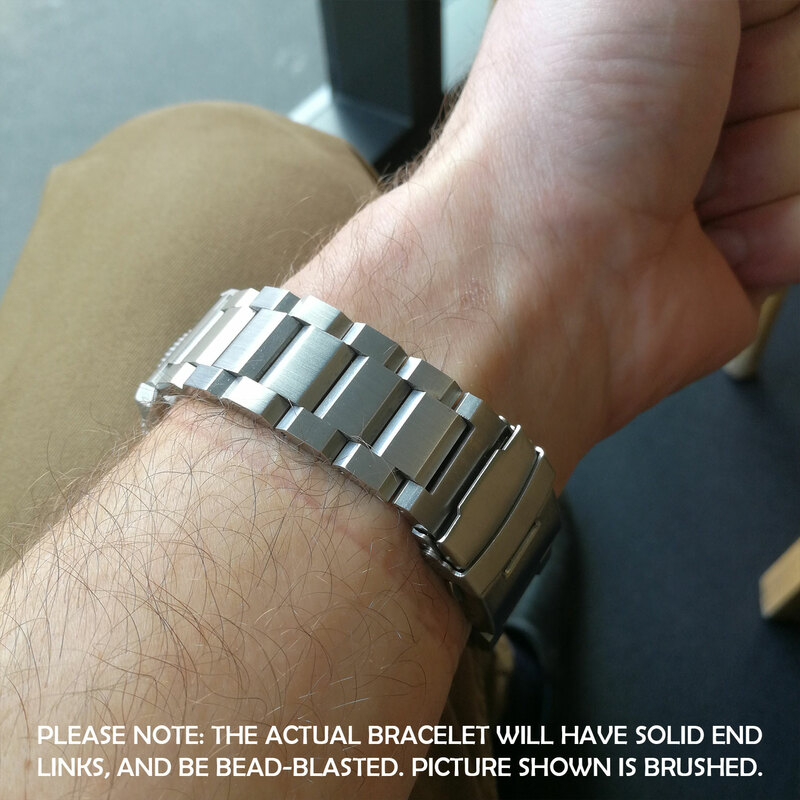 This colour will be matching on the minute hand. 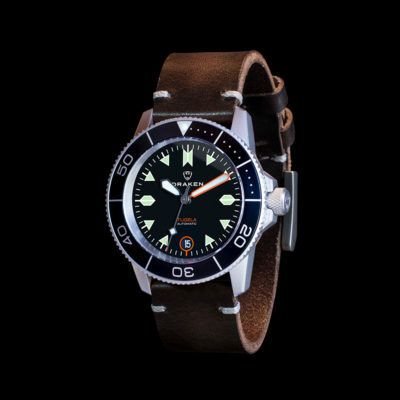 The 120-click unidirectional bezel is being re-engineered for a tighter fit, ensuring there is no play, but still a satisfying click. 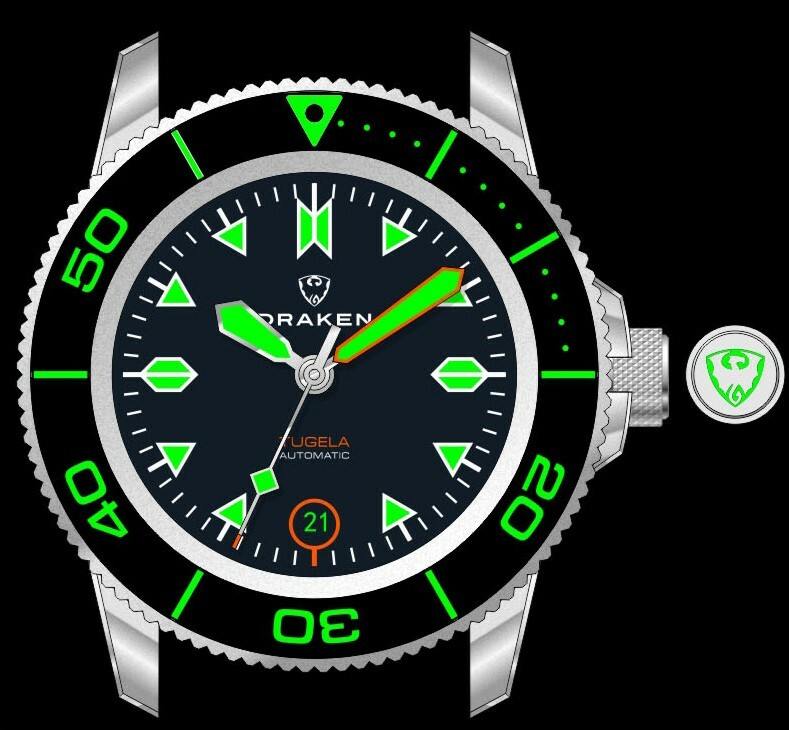 The bezel insert will be the same matt finish, but the markers will be luminous. 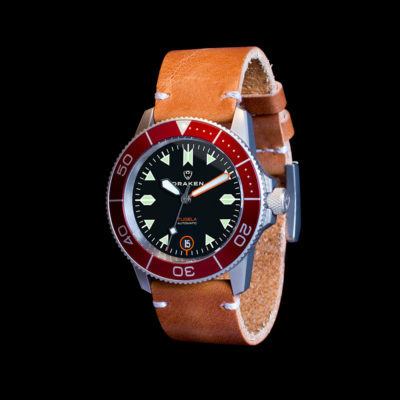 The crown will be a bit longer, allowing for better grip, and we’ll add lume to the logo on the tip. 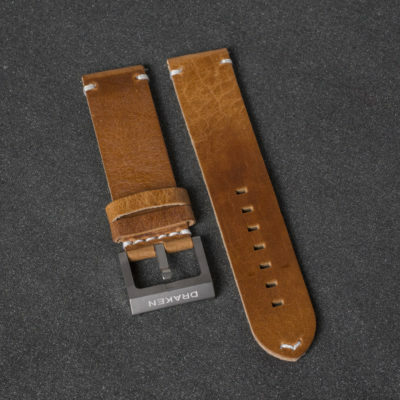 The straps of the 2nd edition Tugela will have a better inner lining, and of course have quick release pins for easy strap removal. 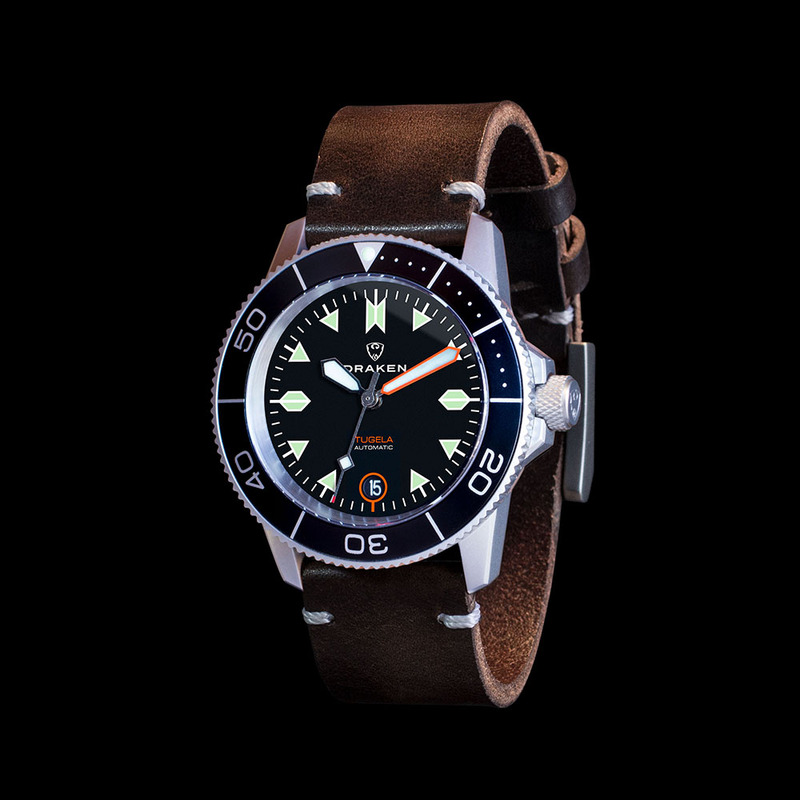 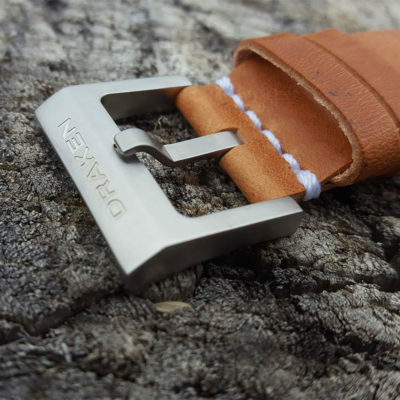 For this version of the Tugela, we will be adding a bead-blasted stainless steel bracelet as an optional extra. Solid end links will ensure a perfect fit with the watch case, and we’re engineering them to fit the same quick release pins, taking the frustration out of removing or installing the bracelet. Please note: The approximate delivery date for the Tugela is early May.